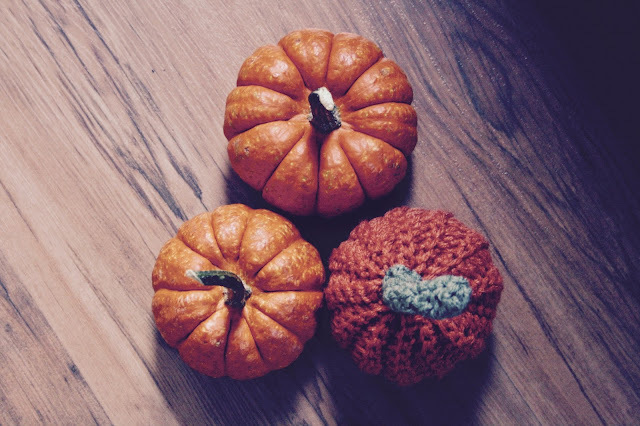 October just wouldn't be October unless we continued the Knotted Home tradition of having a Creative Pumpkin contest! For the last two years, I have held a contest in which I have asked all of you, dear readers, to send in photos of your pumpkin creations. Whether that meant recipes with the usage of pumpkin, pumpkin carving, pumpkin in decor, toddlers with pumpkin, etc, etc, all was welcome and I would love to do that again. So here we go. Please send in photos of your pumpkin creations to either knottedhome@hotmail.com or message me at the Knotted Home Facebook Page. There are no limits to entries. The Deadline to this contest is going to be on Halloween, itself - Midnight, October 31st. I would then love to share my top three favourites and announce the Grand Winner on November 1st. They, the grand winner, will also receive a handmade gift from me!! What : A Creative Pumpkin Contest! When : The Deadline is at Midnight on October 31st. Why : Your creation could be posted on November 1st on the Knotted Home blog and you could win a homemade gift. Questions : feel free to email me or post on the Knotted Home Facebook Page. Disclaimer : Pictures of faces are not necessary for this contest (I respect your privacy or your children's privacy) HOWEVER, the creations NEED to be created BY YOU OR YOUR CHILDREN.